This story of youth gone wrong is based on the true life account of Ray Pye (a young man obsessed with his lack of height) who one night simply decided to shoot two girls at a camping site, kick-starting his downward spiral. 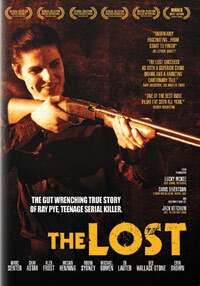 Based on Jack Ketchum's book, it focuses on Pye's egotistical rule amoung his small group of friends, as he manages his mom's motel, always trying to pick up girls, selling drugs and generally having a high opinion of himself (wearing make-up, and beer cans in his boots to make him seem taller). Two cops in town suspect him of murdering the girls years back, but there was not enough evidence. They keep a blatantly close eye on him, as he becomes more unhinged, ready to snap, with inevitable bloodshed on the horizon. A shocking tale adding just another one to the list of American nuts.